Boxes of meat sit on a table inside a Chipotle Mexican Grill store location, Nov. 3, 2015 in Vancouver, Washington. An outbreak of E. coli linked to Chipotle restaurants has sickened seven more people and expanded to three additional states, including Maryland. A total of 52 cases now have been reported in nine states, including Maryland, the Centers for Disease Control and Prevention (CDC) said. The Maryland Department of Health and Mental Hygiene has confirmed the E. coli exposure occurred at a central Maryland location. The affected customer had eaten at more than one location in the region days before developing symptoms, the department reports. The most recent illness started on Nov. 13, the CDC said. Most the illnesses have been in Oregon and Washington, where cases were initially reported at the end of October. Additional cases were later reported in California, Minnesota, New York and Ohio. The CDC had said in late November that additional cases could be reported for illnesses that started after Oct. 31. Of the 52 people infected, the CDC says 47 reported eating at a Chipotle Mexican Grill in the week before the illness started. The agency has not yet determined the ingredient responsible. 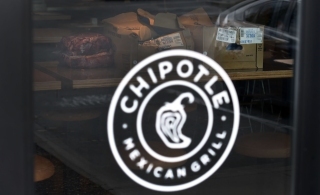 Earlier Friday, Chipotle announced it was tightening its food safety standards. The Mexican food chain said it hired IEH Laboratories in Seattle to help improve its system, and that new procedures will include testing of all produce before it is shipped to restaurants. It said it will also enhance employee training for food safety and handling. Chipotle has not yet said how sales have been affected by the bad publicity from the E. coli outbreak, but said it would provide a financial update before its presentation at the Bernstein Consumer Summit on Tuesday. In October, the company had forecast sales at established locations would be up in the low- to mid-single digit percentages for 2015. Chipotle said Friday it tested ingredients before, but that it is moving to testing smaller batches and a larger number of samples. "In testing for pathogens, in many ways you're looking for needles in haystacks. Through this high resolution testing program, we are making the haystacks smaller by working with smaller lots," the company said. Chris Arnold, a spokesman for Chipotle Mexican Grill Inc., said the company's local produce suppliers may not all be able to meet the new standards. The company noted that its local produce program accounts for a "relatively small percentage" of the produce it uses, and only runs from around June through October in most parts of the country.